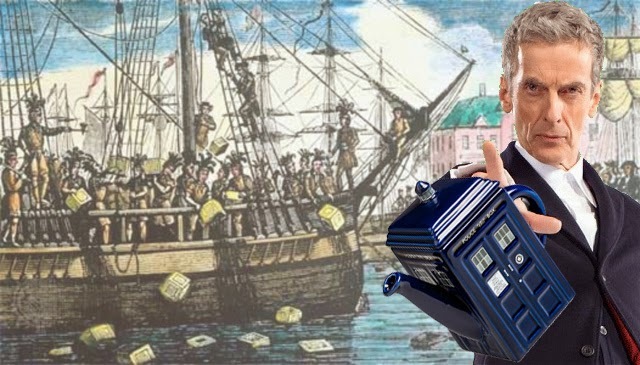 The Whovian Tea Party | Warped Factor - Words in the Key of Geek. Stacy Embry threatens to throw crates of DVDs into the harbour. 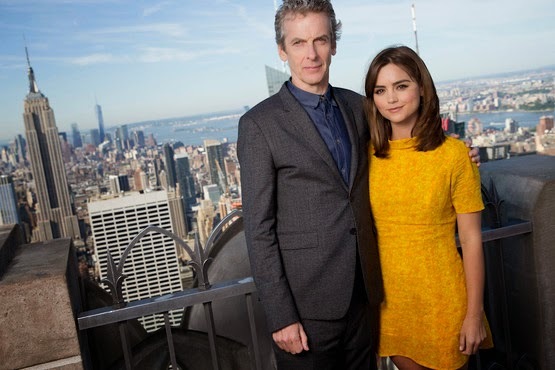 The biggest success Doctor Who has had in recent years is heralded by everyone as being the cracking of America. 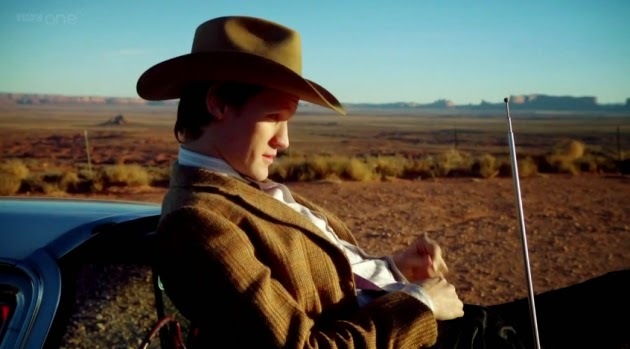 Matt Smith came to town and he won the hearts of the Land of the Free. But you can’t rest of Smith’s laurels. Americans have stayed with Doctor Who season eight mostly out of fascination with the train wreck known as Steven Moffat, and a growing admiration for Jenna Coleman as a talented actress, able to hold together even the most questionable of series, despite having a dubious romance thread thrown in her path. I’ve heard fans in the UK describe Capaldi as ‘the best doctor E-V-E-R’ but I’m here to tell you, in the States, Peter Capaldi is still a take it or leave it doctor, neither hated nor beloved. He's a cranky grandpa and we mostly store those in retirement homes. If that’s what the Doctor is now, then maybe that’s where he belongs. We’re still angry in America. I’m not talking about that whole contempt with King George III, I am speaking specifically of trading Smith in for this older model. There is no growth in audience here, despite the claiming that the premiere numbers on BBCA showed some. What we actually feel for Capaldi is just… ‘blech.’ From there, the only way is down to disinterest and the next show, one whose writers are fresh and inspired, and one that doesn’t scowl at us from beneath angry eyebrows. The word ‘Who’ means something different in America. 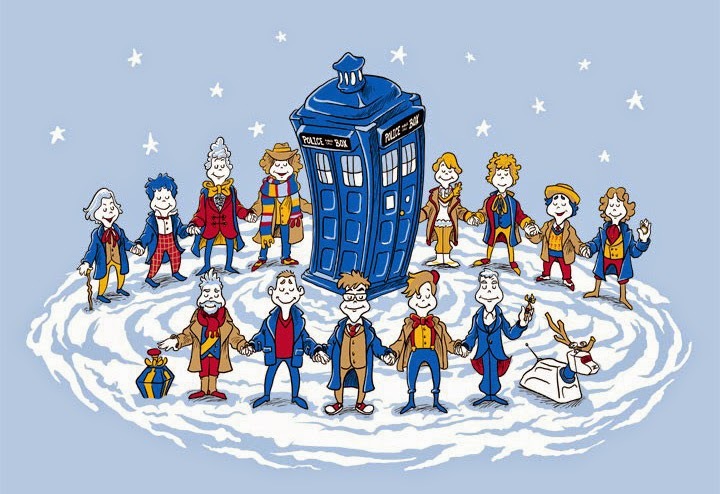 Here, Whovians fear the Grinch and love the elephant Horton, because Dr Seuss owns the world of Whos down in Whoville. We perpetuate his legacy every Christmas. We don’t side with the Grinch. Not now, not ever. Here, Matt Smith is still the heartbeat of Doctor Who and David Tennant is still considered pretty darn good himself. Fans in the UK are retconning themselves after just one season, proclaiming Capaldi is the best Doctor ever. Bless. I admire the can-do attitude that has gotten you through truly horrific times, but your export is at risk and is in often-unworthy hands. I teach American literature and we often focus on the disconnect that created the split between the colonies and the Crown. This heavy handedness is exactly why we broke away; why we took so long to enter the world wars and why we’ve been a reluctant political partner before and after the Blair/Clinton bro-fest. Here’s just one more list for you. Series 8, ranked from best to worst. This list best illustrates exactly what I'm writing about. Just look at this list for style: the most noted ‘style’ pieces rank best; they tap into US-friendly formats, build the audience and have good, engaging plots. The further down the list you go, the more the stories are built on the ‘legacy’ of Who and a heavy dose of King Moffat’s ‘because I said so’ plotting. Americans see ourselves as Dallas and Gone With The Wind. We see the UK as Shakespeare and Strictly Come Dancing. Though we recognize your deep literary roots, we love action. We are addicted to style over substance with star-power over plot. And the 12th Doctor brings little on his own - the top five stories on the list are heavy with guest stars and writers. Personally, I've grown quite fond of Peter Capaldi. I like his doctor as a foil for the guests. I think most would say the same, but Capaldi’s not a positive selling point in the US – as I say, no-one roots for the Grinch. If Coleman, who has proven capable of inspiring interest against all the odds, decides to leave the show, then BBCA is in a losing position. By focusing on what appeals most to the older fans of more ‘traditional’ Who, Moffat and the BBC are endangering a potentially great show and the interest it once had in the States. Take care - we really don't want to revolt again. Risk adverse, Stacy would never even enter the TARDIS, but admires those who do. Happily watching and writing from the distance of Indiana, USA. She enjoys writing and discussing her observations and critiques.